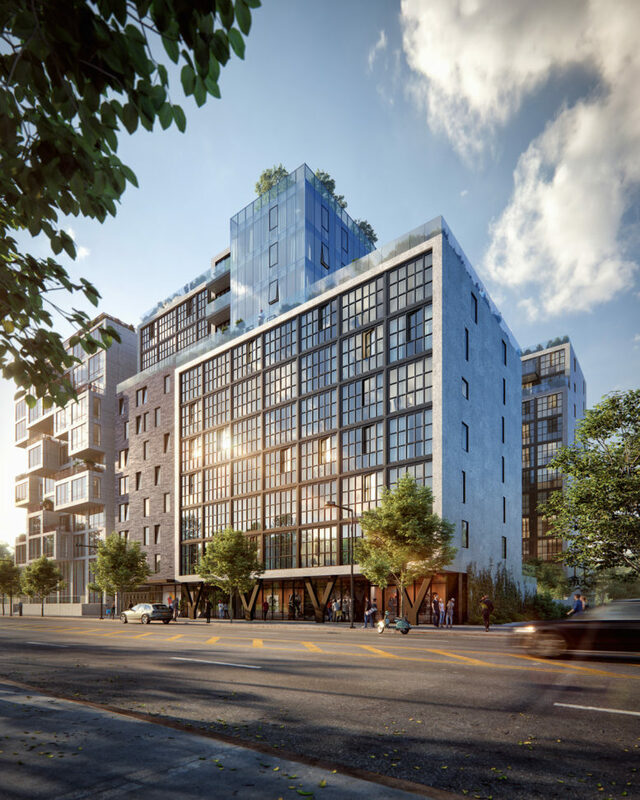 Construction has topped out for the 11-story condominium building at 22-18 Jackson Avenue, in Hunters Point, Queens. 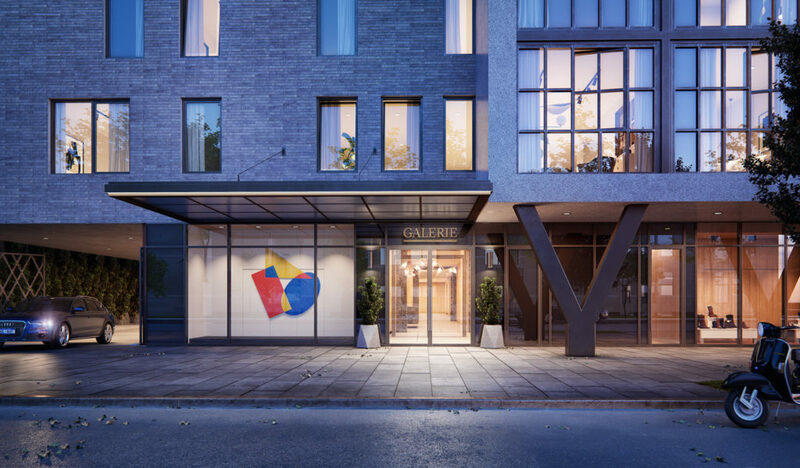 The complex will bring 182 new condominiums to the neighborhood, ranging in price from $660,000 to over $2.5 million. 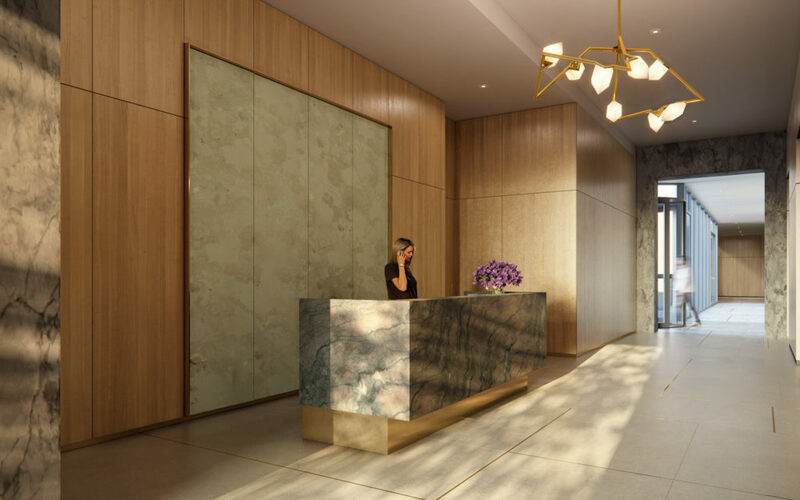 The building will offer rooms ranging from studios averaging over 400 square feet, to three-bedrooms averaging over 1,600 square feet. Laundry closets will be incorporated in each apartment. 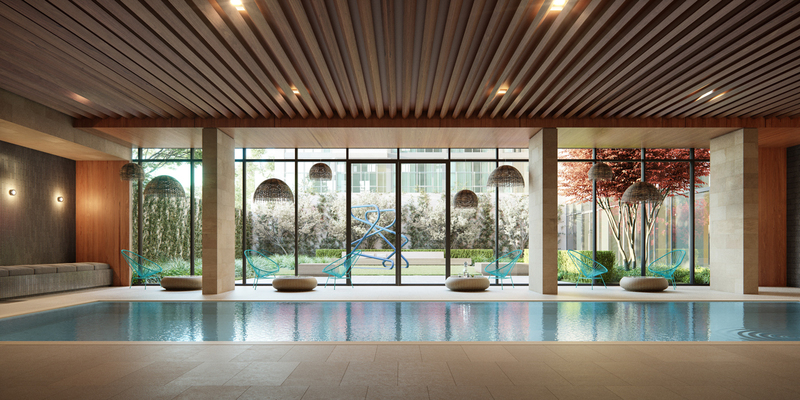 Tenants will have access to over 13,000 square feet of amenities, including a decorated lobby, indoor pool, landscaped central courtyard, lounge, fitness center, and a rooftop terrace. An off-street porte-cochere will be included, which will accommodate both drivers and cyclists. ODA is responsible for the design. Façade work is currently underway, which incorporates concrete, brick, and curtain wall glass. The structure is unique in having three distinct architectural styles on its exterior. Adam America and Vanke US are responsible for the development. Completion is expected by mid-2019. Halstead Property Development Marketing is responsible for marketing and sales. 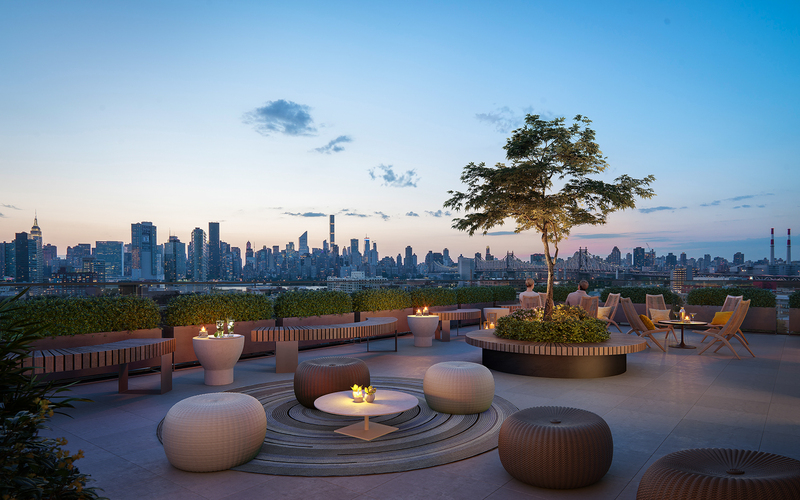 1 Comment on "22-18 Jackson Avenue aka Galerie Tops Out in Hunters Point, Queens"
Please pardon me for using your space: There is not fulsome on beautiful and simply designed.